1. Drag the beam to one side and then press "Start". Use the timer to record the time for 20 complete cycles. 2. Repeat the above step at a larger or smaller amplitude. Is the period independent of amplitude ? 3. Is the displacement-time curve sinusoidal ? 4. 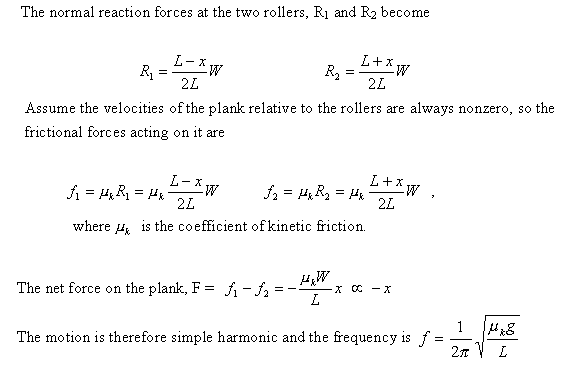 Is the oscillation harmonic ? always directed towards the fixed point, and proportional to the distance from the fixed point. - Period is independent of amplitude (isochronism). - Displacement-time graph is sinusoidal.